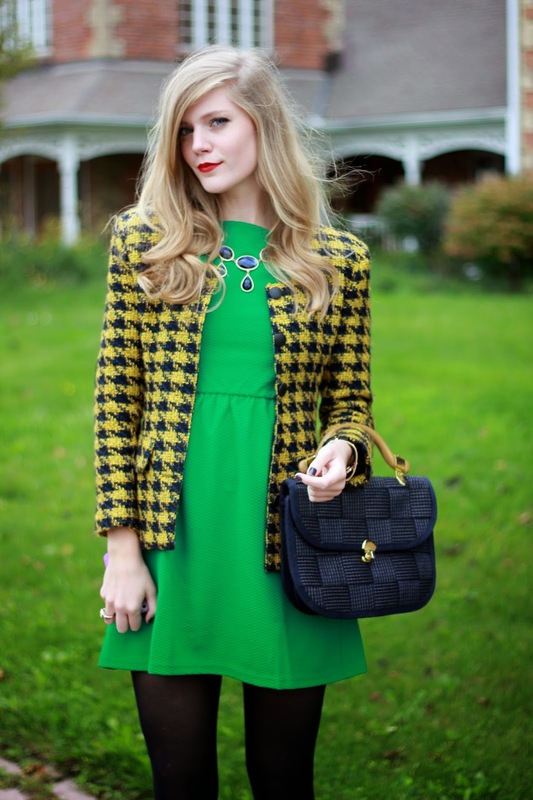 I absolutely love blazers of any sort, but come fall I love a classy tweed blazer with any outfit. I decided to just go all out with colour in this outfit, and pair quite the colour combo with this vibrant green dress from Pink Martini Collection. This dress would also be fantastic in the summer and you can coordinate numerous pieces with this dress. I'm also super excited to put a pair of biker pants with this tweed blazer and completely change the look. I just love all the possibilities when it comes to fall fashion!! !